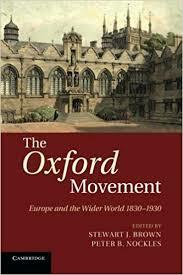 Oxford Movement research papers examine the tractarians and the most famous one, John Henry Newman. Between the years 1833 and 1845 in England, a group of Anglican clerics led by John Henry Newman, John Keble, and Edward Pusey published a series of essays they called “tracts.” They then became known as Tractarians, and their effort was soon called the Oxford Movement. Newman, Pusey and Keble were all concerned by what they saw was “deception” practiced by the Anglican clergy, rendering the church weak in the process. In England at that time, the church did, indeed, enjoy a very favorable status, and under the guise that England was a Christian nation, the clergy did little to enforce discipline among its members. The Tractarians were evangelical by nature, so it was no coincidence that they began publishing documents trying to construct a theological position that called for greater devotion and attention to spiritual matters. Three of the tracts, published in 1834-1835, were titled “Scriptural Views of Holy Baptism as Established by the Consent of the Ancient Church and Contrasted with the Systems of Modern Schools.” They staunchly defended baptism as a renewal and necessary for an introduction to the spiritual life. Newman played an important apologetic role in defending those three tracts (written by Pusey), who had been attacked by many as writing material that went against the Thirty-Nine Articles. Newman published statements in The Christian Observer in 1837 that demanded to know what was in Pusey’s tract that went contrary to those articles. Later that year, Newman made an even stronger stand when he delivered a series of lectures on justification of the Oxford Movement’s stance. He then published those lectures, which soon were considered by many church and other leaders in England to be the most important single contribution of all the documents of the Oxford Movement. Paper Masters writes custom research papers on Oxford Movement and examine the tractarians and the most famous one, John Henry Newman.